Warehouses facilitate consolidation of business operations leading to decreased outbound delivery costs for both the business and its customers. Instead of shipping inventories from the multiple sources, these can be delivered to warehouse, packaged together and shipped back to fulfill the order. Set against this backdrop is Fishbowl, Orem, UT-based company that offers best-of-breed warehouse management solution that simplifies inventory management processes, optimize warehouse setups, reduce costs, and balance inventory needs. "Our integrated approach is going to allow SMBs to use Fishbowl to automate all of their business operational needs," says David R. Williams, CEO, Fishbowl. The company’s Fishbowl Warehouse, a warehouse management solution offer unique tools that assist businesses to optimize warehouse layout, order fulfillment, overall inventory processes and practices. Its ability to manage inventory at multiple locations and the power to quickly pick, pack and ship products, has taken wholesale distributors and e-commerce companies to a whole new level. Fishbowl Warehouse not only helps businesses to quickly transfer products between locations, but also tracks each movement with their serial numbers, and other criteria. Further, the solution allows enterprises to monitor product levels; if a warehouse is running short of products at one location, then it provides flexibility to transfer products from one location to another without any hassle. Along with inventory management, Fishbowl Warehouse also assist in managing warehouse operations efficiently by finding the right balance between being overstocked and out of stock inventory. With the help of previous sales data, clients can assess and make informed decision about inventories needed at any given point of time. This way, there will be no scope for outdated products and also benefits client in saving plenty of time and money. The solution also uses barcodes, automatic purchase orders, and other tools to accelerate the order fulfillment process, ensures clients can quickly move the products to the targeted location at right time. Other capabilities of Fishbowl Warehouse include seamless integration with online and desktop version of QuickBooks and Xero—a web-based accounting solution provider, through which clients can instantly update inventory and accounting records, send accounting adjustments, and accept payments in Fishbowl and transfer them. To comply with the changing needs occurring in the industry and to enhance overall efficiency of warehouse, Fishbowl offers effective tools to manifold organizations. To exemplify, one of Fishbowl customers, Crossroad Distributor Source (CDS)—a 25-year veteran in industrial and aerospace fasteners found themselves outgrowing with QuickBooks as an inventory management solution. Through Fishbowl Warehouse solution, CDS integrated and shifted inventory from QuickBooks to Fishbowl seamlessly. It allowed them to customize the reports accordingly, in order to enhance sales turnover and improve the reordering process. 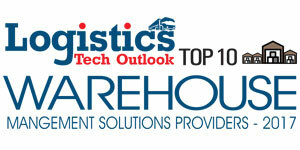 With Fishbowl Warehouse they were able to easily and efficiently transfer inventory between warehouses. Further, by implementing Fishbowl’s software effectively CDS were able to quickly receive products into their warehouse and track shipment to their destination. In addition, customer service could keep track of stocks available at each location from one single point and saved plenty of time and money by managing inventory more effectively. In the days to come, the company assures to stay ahead of the market and deliver innovative and enhanced products. "We'll maintain our position as the top inventory solution for QuickBooks users both now and well into the future," says Williams. “We have a lot of new things in the works, and we're looking forward to even greater success in the next 15 years."